The mid-December two-day visit of the Russian president, Vladimir Putin, to Japan raised high expectations among many about the prospect of signing a peace treaty that is now 60 years overdue. Among other things, there was also high anticipation for the return of at least two of the four islands that Japan calls Northern Territories, and Russia calls the Kuril Islands, which Japanese consider “stolen” by Stalin at the very end of the WWII. The Japanese prime minister Shinzo Abe, went out of his way to make this visit “special” for his Russian guest, by arranging the first day to be spent in his hometown, Nagato, in the southern prefecture Yamaguchi of the main island Honshu – place, famous for its exquisite sake, hot springs and delicious food. The carefully planned schedule, with a pronounced demonstration of a personal hospitality touch by prime minister Abe, listed “relaxing” time in famous hot springs, and a feast with exotic traditional local food, including exquisite dishes of a raw and cooked fish Fugu. The expectations were unrealistically high, however. Perhaps, recognizing that fact Shinzo Abe banked on a strategy that combined an emphasis on his personal rapport with Putin as the only G-7 leader still having amicable relationship with the Russian president, and an extraordinary demonstration of Japanese hospitality to a Judo wrestler, who knows a thing or two about the depth of the Japanese culture and martial arts. The expected results were to make it harder for the Russian guest to say “no” to everything, and if not out of emotional obligation for the hospitality, than at least as a lip service for a genuine desire for cooperation, to offer face-saving concessions of symbolic value to his hosts. After all, Japan was the first G-7 country to grant Putin a state visit after Russia annexed Crimea and was slapped with sanctions by the West. extraordinary demonstration of Japanese hospitality to a Judo wrestler, who knows a thing or two about the depth of the Japanese culture and martial arts. The expected results were to make it harder for the Russian guest to say “no” to everything, and if not out of emotional obligation for the hospitality, than at least as a lip service for a genuine desire for cooperation, to offer face-saving concessions of symbolic value to his hosts. After all, Japan was the first G-7 country to grant Putin a state visit after Russia annexed Crimea and was slapped with sanctions by the West. The visit was first for the Russian president in Japan for 11 years, and an important moment for Putin to melt some ice with the West. Ahead of the visit, however, Putin dashed any hopes the Japanese might have had for this meeting. A few days ahead of his trip, at a meeting with the Japanese press court in his residence, Putin declared that Russia has no territorial dispute with Japan; then he promptly and somewhat humiliatingly refused a highly symbolic gift from Shinzo Abe – a male companion to Putin’s Japanese dog Yume; and finally, he arrived in Japan with 2.5 hours delay, without a warning and, as it appeared, for no obvious official reason. Embarrassed Shinzo Abe was shown on national TV waiting in the rain, and being prompted to fill in the time by visiting his late father’s grave. And then, when the Japanese prime minister was hoping that their meeting will finally pick up, Putin once again embarrassed his host. In front of live TV cameras, at the amicable exchange of traditional pleasantries during the initial welcoming ceremony, Putin quite forthrightly refused Abe’s courtesy invitation to enjoy the local food and “relax” in the hot springs after the anticipated [intense] negotiations, with the unequivocal comment “best not to get too tired”. Message sent! As it seems, well ahead of the visit, both leaders must have understood quite well the impossibility to reach a comprehensive agreement on either of the controversial issues – the peace treaty and the disputed islands – but both sought to exploit the opportunity to extract domestic political benefits, as well as to send specific signals to foreign counterparts, regardless of the actual outcome of the visit. At the end of the day, both leaders claimed significant achievements, even though by any standard what was agreed at the end of the two-day visit, was rather modest. More significantly, however, the visit looked more like a judo sparring between two opponents, and one of them did not emerge quite a winner from this “friendly” match. 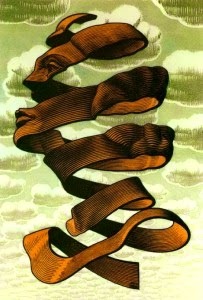 Let’s look more closely. As a nuclear regional great power, Russia has little to no pressing need to solve either of the two controversial issues. It has lived without a peace treaty for 60 years, since signing a formal declaration for ending the active hostilities with Japan in October of 1956, but blocking any further signing of a peace treaty, because of the Japanese insistence on the return of the four islands: the two bigger ones, Etorofu, Kunashiri, and the two smaller ones, Shikotan and Habomae. Since the 1980s, and then more actively after the end of the Cold War, Russia has signaled its readiness to consider the return of the two small ones, for the right “price”. But the other two are clearly off limits. Back in 2010 as a Russian president at the time, and then in 2015 as a prime minister, Dimitri Medvedev visited the two big islands and clearly demonstrated his affinity, i.e. the collective Russian attitudes, towards them. He caused many Japanese to gulp when declared that they are “an important region of our country”. His words caused a flurry of diplomatic protest by Tokyo. But in reality, no serious policy maker either in Moscow or in Tokyo will actually contemplate the realistic possibility for the return of the two big ones, as they are of extreme strategic importance for Russia. As an even more unequivocal reminder of this fact, much to the chagrin of Abe’s government, Russia deployed anti-ship missile systems Bal and Bastion there, just days before the Putin’s visit to Tokyo. The two large islands, which the Japanese call Etorofu, Kunashiri, and the Russians call Iturup and Kunashir, hold enormous strategic importance for Russia. As a starter, they protect the entrance to the Russian-dominated Sea of Okhotsk where many of the Russian nuclear submarines are kept ready for action. Unable to keep them as quiet as the U.S. navy can its, undetectably roaming the depths of the Pacific Ocean, Russia has long ago opted for the second best option – to keep them well protected in a relatively limited body of water, such as the Sea of Okhotsk. Also, the islands are at a location where hot and cold ocean currents meet, which protects the straits between them from freezing during the Arctic winters, and as such afford unrestricted access for the Far East Russian fleet to the Pacific Ocean year-round. Finally, the sea bottom abounds with not yet explored oil and gas reserves, and a large variety of quantity and quality of fish. The islands themselves are also a strategic source of rare minerals, such as rhenium, used in the production of supersonic jets, and gold. The security importance of the two big islands, and the appertained to them exclusive economic zone in the waters and bottom of the Sea of Okhotsk alone are two reasons that make the return of the islands rather unlikely. At different times over the past decades, however, Russians have signaled certain conditional readiness to give back to Japan the two small islands, which are located on the outer side of the chain and offer less strategic importance for them, in exchange for a formal peace treaty and allegedly serious economic aid. For Moscow, a peace treaty holds a symbolic importance for its global legitimacy. In the onset of the WWII Stalin’s foreign minister Molotov signed a neutrality pact to keep Japan out of its Far East back. Despite the fact that the two countries were former enemies during the war, the imperial Japanese government honored the pact to the very end of the war, and never attacked the Soviet Union. Stalin, however, reneged on the agreement at the very last days of the war. Seeing the impossibility to receive half of Japan, as allegedly promised at the Yalta conference in 1944, he declared a war on Japan on the 8th of August 1945, on the eve of the atomic bomb dropping on Hiroshima, in a desperate attempt to grab as much territory as possible. However, still bogged down traveling through Manchuria, most of the Soviet troops barely made it on time to take only the four islands. Hence the other serious problem for settling the issue with the islands. Traditionally occupied by indigenous people over the course of the history, the islands culturally stand more closely to Japan. In the 18th century, during the heights of the shogunate isolationist reign, the Japanese rulers had little real interest in the islands. When Russia under Ekaterina the Great conquered the Far East, in 1786 she claimed the islands being “discovered” by the Russian explorers, hence under Russian sovereignty. In two subsequent agreements with Russia in the latter part of the 19th century, the new Japanese state acquired ownership of the four islands and solidified its rule over them while recognizing Russian rule over Sakhalin, the much larger island off the coast of the mainland. In the aftermath of the humiliating Russian defeat in the 1904-5 war with Japan, the Japanese recaptured Sakhalin and large parts of Manchuria and Korea. Russia was pressured to cede control of the southern half of Sakhalin as part of a peace treaty with Japan. So, the diplomatic conundrum in this case is that if for a period of about 100 years – from mid-19th century to mid-20th century – Japan had control over the islands and beyond, enshrining in the minds the regular Japanese the image of the territory as inherently Japanese, any agreement for recovering sovereignty over just the two small islands for the Japanese public must be presented as “temporary” first step to regaining full sovereignty over all four of them. But, the importance of the islands, as discussed above, makes the likelihood of returning all four of them to Japan close to zero. Very problematic is also the question about the potential wording of an alleged agreement even for the two small islands. Would the Russians “return” the islands, which will be an outright admission of “grabbing” the territory that was not theirs in a first place? Or, would they “give” them to Japan, which will imply a sort of “gift”? The former option not only will be unacceptable for Moscow under almost any circumstance but will also leave the question of the eventual return of the larger islands as a pending moral topic that will continue to beset the relationship between the two countries. The wording will also be unacceptable for most Russians, not just the ultra-nationalists, and could seriously damage Putin’s credibility, or for that matter the political standing of any later leader in his place. The latter outcome will be unacceptable for the Japanese. The Soviet invasion episode is still very painful for many Japanese. Some 17 thousand people had to flee the islands in the aftermath of the Soviet invasion, with many more dying or practically being enslaved by the Soviets. Some of the survivors are still alive. Their voices hold a serious moral sway within the Japanese society, and their stories are internalized by many, as a matter of national pride. The nationalistic groups repeat these voices as echo chambers throughout Japan, too, and will make sure that the outcome will become unacceptable for any Japanese government. Japan is in a much weaker position than Russia on the issue at hand. Over the past years, aggressively rising China, and increasingly uncommitted United States to an unconditional Japanese protection, have prompted Japan to seek alternative sources of regional security. While Abe’s course to remilitarization has certainly been welcomed by the U.S., if not actively encouraged as a way to see Tokyo taking partial ownership of its national security and removing the liability factor from Washington, the military emancipation of Japan has worsened the security dilemma in the region, and provoked China’s more belligerent stand against Japan. This also comes on the heels of the warmer China-Russia relationships, the signing of a multi-billion dollar pipeline deal, and an ever increasing flow of Chinese investments in the Russia. Moscow sees both China and Japan on relatively equal par with regard to their potential for economic investments, but with different geostrategic importance. While it needs the Chinese strategic partnership in their joint balancing act against the U.S., it also wants to pull Tokyo out of the American orbit, seeing it as perhaps the weakest link of the current anti-Russian balancing by the West. Japan, for its part, needs the good side of Russia in the worst case scenario of outbreaking hostilities with China. 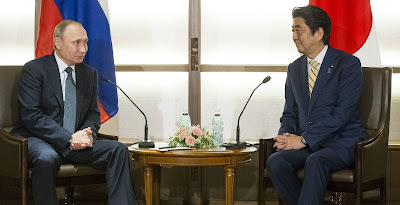 Abe himself seems also pressured by time, as the upcoming Trump administration may become more friendly with Putin over time – a perspective that may or may not become a reality, – and thus see further diminishing of the American security guarantees to Tokyo. A greater U.S. – Russia rapprochement will also render less relevant the mediatory role Japan inspires to play in the current stand-off between Russia and the West. An agreement with Russia for a peace treaty and over the disputed islands would have also highly important symbolic power for Abe’s administration in his domestic politics. First, it will give greater legitimacy and popularity to his Liberal Democratic Party (LDP), and himself, inside Japanese domestic politics. Such a rise of popularity will lend further credence to his attempt to change the constitution, the most radical act since the country regained its independence after the post-WWII U.S. occupation. Deeply skeptical of the actual need for the constitutional change, the majority of the Japanese hold also a strong national pride that is emotionally injured by the wide perception of the Northern Territories as “stolen” by Russia. According to recent Pew Research, Japanese public attitudes against Russia are ranked among the most critical in the world. If Abe were to succeed in concluding a favorable agreement with Russia over the peace treaty and the disputed islands, this would give him a boost for the more radical domestic reforms. In addition, Abe has a personal ambition to conclude a peace treaty as part of his desire to bring a finishing touch to a family legacy. His father, Shintaro Abe, as a Japanese foreign minister in the 1980s worked hard with Mikhail Gorbachev to make a peace treaty accord happen. On his dying bed, right after the fall of the Cold War, he expressed to his son his dying wish that a peace treaty is some day signed, and the Japanese islands, returned. Having entered the negotiations with the clear understanding that no substantial agreement can be concluded at this point of time, both the Japanese and the Russians engaged in an exotic diplomacy, alternatively called “doggie diplomacy” and “spa diplomacy”. Led perhaps by the traditional Japanese cultural perception of saving face, and a hard time to say “no” without appearing to be rude, Abe sought to envelop his Russian guest with traditional Japanese hospitality, and use his individual charisma and personal rapport with Putin as a way to mesmerize the Russian leader and thus to deny him the opportunity to reject what appeared to be a reasonable offer, or at least some less controversial parts of it. For his part, Putin sought to belittle and dismiss the extravagance of the hospitality by demonstrating disregard of what Japanese consider a painfully meticulous sign of respect – punctuality – by arriving fashionably late for his official visit, as well as by using traditional blunt bullying tactics, such as feeding his huge and menacingly barking dog in front of the cameras of the clearly uncomfortable Japanese journalists only days before the visit, and then by going on to dismiss that Russia has any territorial disputes with Japan. In the aftermath, both leaders claimed credit and “success”, but it was only the Russian leader that emerged as a winner. The 70 plus economic agreements completed largely during the second – more business oriented – day of the visit do not represent some significant Japanese financial investment in the Russian economy. Not a small number by absolute standards, $2.5 billion worth of joint projects must be rather disappointing for the Russians, on the whole. Nevertheless, Putin brought back home with him agreements for some “economic activities” on the disputed islands, and relaxed visa requirements for Russian businessmen, that can be extended at a later stage to the general Russian visitors to Japan. What was ostensibly missing from his departing goody-bag, however, was an offer for multi-billion dollars loans by Japanese financial institutions, to a degree perhaps because such an act would have made them vulnerable to technically breaking the sanctions against Russia, and partially because in the current situation such loans seem too risky and not guaranteed enough. Waste-recycling technologies and wind-power technologies can hardly replace the ostensibly missing offers for additional large-scale investment by Japanese carmakers beyond the current level of relatively modest car parts building facilities, or for advanced Japanese high technologies in more “sensitive” areas. Not to mention that the matter of possible unilateral breaking of the sanctions against Russia was apriori removed off the negotiating table, which may well explain Putin’s subsequent snubs. Abe’s achievements, however, were even more modest. None of the hoped large-scale investment projects, such as a possible Japanese participation in the privatization of Rosneft, the government-owned Russian oil company, materialized. Igor Sechin, the head of Rosneft, has given clear indications that his company will be looking elsewhere for potential investors. The moral blow to Abe, however, is what matters the most. In the aftermath of the visit, the Kyodo news agency published a poll, according to which Abe’s popularity not only did not gain any points from this “spa diplomacy” but has actually dropped. A seemingly innocent comment by Putin in the eve of his departure to Japan was also not lost on the Japanese public. In what many interpreted as an openly humiliating demonstration by Putin of his ability to mingle in Japanese politics the same way he probably has impacted the American elections, the Russian president joked that if the opposition in the Diet, the Japanese parliament, gives the prime minister any hard time, he would unleash his dog on them. Putin’s visit to Japan had strong symbolic importance for both countries but brought little significance to the substantive issues at hand. Although both leaders claimed to have achieved a great deal, in the aftermath it seems as though Putin had ventured into it with the intention to undermine the Japanese prime minister’s power, while also demonstrating that the cordon sanitaire around Russia is not as solid as it may seem. Bringing Japanese readiness to accommodate the most hated world leader in the West, he managed to demonstrate that the Washington-led opposition against Russia is a paper tsubse composed of reluctant allies, allegedly bullied by the U.S. Far more important than the latest warming up towards Moscow by freshmen NATO members, such as Bulgaria and Hungary, the latest Putin’s stunt in Japan represents one more step towards a greater resurgence of Russia on the world stage, and an act that precedes the anticipated warming up towards Russia by such traditional U.S. allies, as France or Germany, in the anticipated outcomes from the upcoming elections in both countries in 2017. As a long-time judo wrestler, Putin aimed at turning the strength of his opponents into his advantage. His Japanese visit seemed as a friendly sparring with a Japanese opponent, in which he pulled only a smooth waza-ari**. Even the friendly sparring matches, however, have winners and losers, and in this case, there is no question who is who. In the grade context of Aleppo’s fall, and the controversial role Russia has allegedly played in the America presidential elections, Putin seems one step closer to an ippon*** he dreams about. * The author is an Associate Professor of Politics in Meiji University, Tokyo. ** In judo, a throw back, in which the opponent does not receive an ippon either because he did not lend on his back, or because the throw lacked speed and force. *** A throw of the opponent on his back that brings instant victory. Originally published in The Diplomat Magazine under the title "How Putin Outplayed Abe"